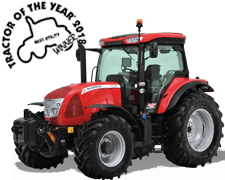 New four-cylinder McCormick X7 P6-Drive and VT-Drive tractors with powershift and stepless transmissions will be unveiled at the LAMMA 2019 show. 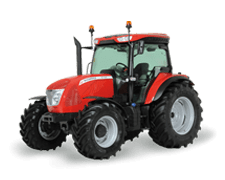 A new range of McCormick four-cylinder tractors with a number of performance and driver comfort advances will be launched at the LAMMA 2019 show as McCormick manufacturer Argo Tractors aims to wow visitors with one of its most ambitious stand presentations. 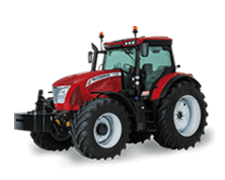 The McCormick X7.440 P6-Drive destined for the event will represent a three model line-up of higher-spec four-cylinder tractors with maximum power outputs from 141hp to 176hp with ‘power boost’ on all models and a new slick-shifting powershift transmission. 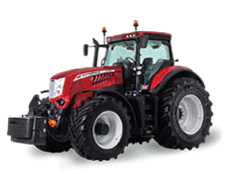 The tractor will be displayed among a selection of models representing the mid- to high horsepower span of the McCormick range, from the 119hp X6.45 to the 310hp X8.680 VT-Drive. “Our stand at LAMMA 2019 will make a clear statement about how the McCormick range has developed into a thoroughly modern line-up of products supported by independent dealers who put customer service at the top of their priorities,” says Adrian Winnett, managing director of UK operations. 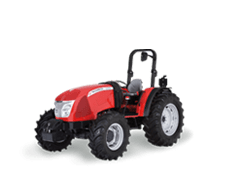 The new McCormick X7.4 tractors are available to Premium and Efficient specifications with different levels of equipment and features. 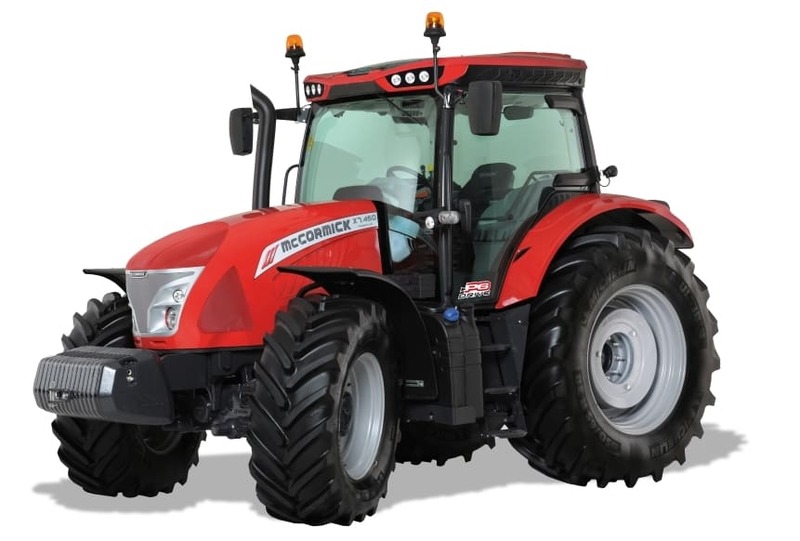 The new Tier 4 Final versions of the McCormick X7.4 tractors offer a well-equipped machine capable of handling a wide range of tasks on livestock, arable and mixed enterprise farms. 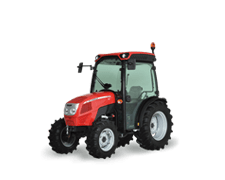 There is a choice of simpler-spec Efficient and full-feature Premium semi-powershift models, and stepless transmission models to the Premium specification. All versions are powered by a 4.5-litre BetaPower engine from FPT Industrial, with an SCR plus DOC emissions control package for Euro Stage IV / US Tier 4 Final compliance. But there is no DPF soot filter, which on tractors with such a device requires an occasional fuel burn to clear ash deposits. Performance with pto-driven implements and when pulling trailers, tankers and spreaders has been given a lift now that boost power features on all models. 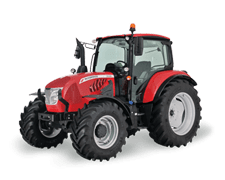 The X7.440 has a maximum power output of 141hp for draft work, which automatically increases to 150hp under load in the upper gears – ie for transport applications – and when a pto-driven field implement is being operated. Similarly, the X7.450’s 155hp output rises almost 6.5% or 10hp to 165hp for these non-draft applications, while power for the X7.460 also goes up 10hp, from 166hp to 176hp. The new P6-Drive transmission – which is already doing service in the six-cylinder X7 Series Tier 4 Final tractors launched at LAMMA in January 2018 – serves up more ratios in total and six instead of four powershift steps to deliver outstanding speed control versatility. Buyers get to use 30 forward and 15 reverse speeds with the standard transmission format or 54 forward and 27 reverse with the creep option. 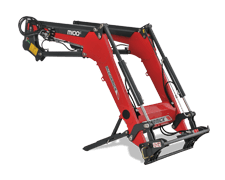 Auto shifting can be used in ‘Field’ and ‘Road’ modes, with the latter providing hands-free shifts through all five ranges, resulting in easier and often more productive operation in the field, as well as more comfortable road travel. The Argo Tractors control software provides ‘intelligent’ range and powershift selection according to the load on the tractor. 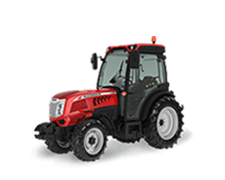 There are also VT-Drive versions of all three models, with an advanced CVT transmission providing seamless speed changes, easy driving characteristics and a choice of operating modes that can be fine-tuned for different applications. Inside the McCormick Premiere cab - Premium on the left with seat-mounted control armrest, Efficient on the right with manual spool valves and side console. 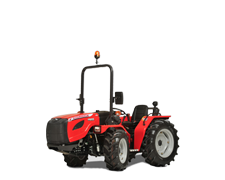 VT-Drive tractors come only with the McCormick Premium specification, which includes a seat-mounted armrest control console; they also have Argo’s 12in Data Screen Manager touch-screen terminal as standard for setting the transmission, electrically-operated spool valves, headland management and other functions. These features, including the Data Screen Manager terminal, are also available as options on Premium-spec versions of the P6-Drive models, which share with their VT-Drive counterparts the 9300kg rear hitch lift, digital air conditioning, generous standard tyres and various in-cab and equipment enhancements. Inside the spacious Premiere cab, increased clearance for swivelling the super deluxe air suspension seat is among enhancements that make the McCormick X7.4 Premium tractors even more of a pleasure to drive. 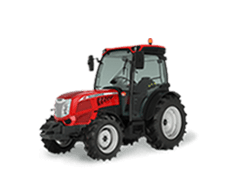 For operators who prefer a simpler, more mechanical orientated specification, Efficient versions of the P6-Drive tractors have a traditional right-hand control panel, manual spool valves and 6300kg rear lift linkage. 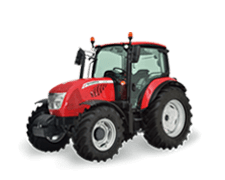 Features common to all McCormick X7.4 Series tractors include a 123-litre/min piston pumps hydraulics system, which on Efficient versions can be exchanged for a lower-cost 88-litre/min open-centre gear pump set-up. A separate 44-litre/min pump is dedicated to the steering and ancillaries such as the four-wheel drive and pto clutches, while four-speed pto provides ‘power’ and ‘economy’ gearing for both 540rpm and 1000rpm shaft speeds. All versions can be upgraded to 50kph with a suspension and air trailer braking package but 40kph versions can also have mechanical cab suspension alone or in combination with an independent wishbone front axle suspension design that enhances ride comfort in the field and on the road and can improve front-wheel traction over a rough field surface. 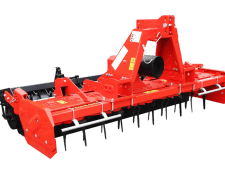 ISOBUS implement monitoring and control can be installed, as can a factory-fitted ‘GPS ready’ package providing auto steer and other precision farming functions through a choice of Topcon displays. 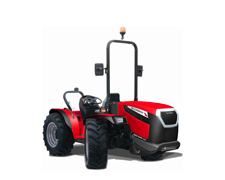 This option also activates EazySteer adjustable low ratio steering for reduced arm twirling at headlands and during loader work. For more McCormick news, pictures and events, visit McCormick Agri UK & Ireland on Facebook.